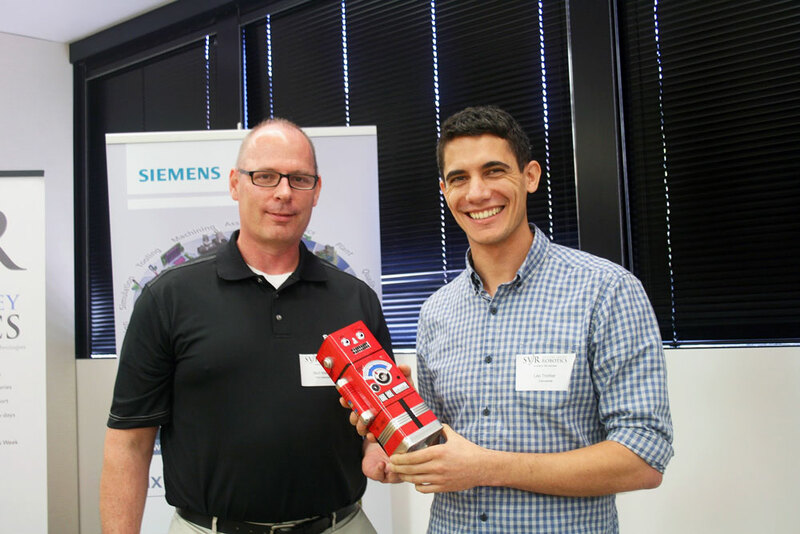 Meet the winners #RobotLaunch2015 – LET'S TALK ROBOTS! From smart forklifts and web-based simulation interfaces, to assistive walking devices, robotic companions — even one for your pet! — the range of mature robotics that made it to the 2015 Robot Launch international startup competition was astounding. Now in it’s second year, the competition attracted more than 75 startups from 19 countries covering the gamut of medical, educational, consumer, industrial and service robotics. 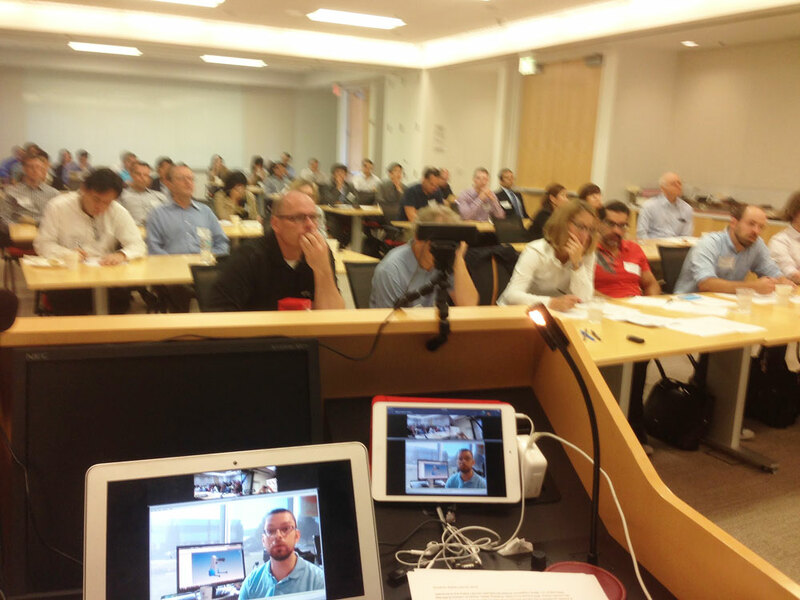 The finalists pitched to a live panel of judges and robotics entrepreneurs in Palo Alto, CA. Find out who judges picked for the winning RobotLaunch 2015 startups! The Grand Winner for Robot Launch 2015 wasCleverPet, a smart dog feeder that lets you play, teach, and connect with your pet all day. More than just an automatic dog feeder, CleverPet teaches your dog games, dispenses rewards, and adapts the gameplay as your pet gets more skilled. Robot Launch judges said they picked Cleverpet because they were “a polished company that is poised to serve a big market that people take seriously,” noting that the CleverPet’s adaptability and focus on play distinguishes it from other robotic pet products, and that the team understands the needs of both pets and their owners. “CleverPet is grateful for the opportunity to present for such a smart group of investors,” said CEO Leo Trottier. “We’re honored to be selected from among companies committed to incredible, game-changing innovation.” CleverPet receives a prize combination of $5000 in cash and $5000 in Amazon Web Services, courtesy of c/o CSIRO, SMBC, iRobot, and Runners Up (full list below) eached received $1000 in Amazon Web Services. Rich Mahoney (Director of Robotics, SRI International) presents the 1st runner up award to Pree Wallia, CEO & Founder of Preemadonna, inventors of the NailBot. 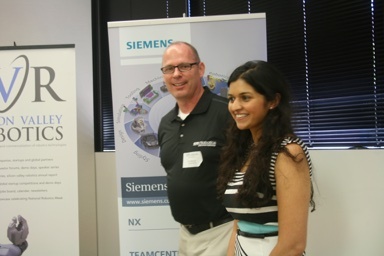 The 1st Runner Up was Preemadonna, for their nail decorating robot aimed at girls and young women. Nailbot uses Hewlett Packard thermal technology, computer vision and a smartphone to allow you to paint custom designs on your fingernails. CEO Pree Wallia told judges she is excited by the opportunity to introduce girls to coding and hacking hardware through creative technology. The Nailbot is one to watch: Preemadonna has also progressed into the finals of the TechCrunch Disrupt Startup Battlefield. While the consumer focus of the first and second place winners shows investors’ strong interest in large and mature markets, the competition from service and industrial startups was fierce, indicating that robotics ecosystems and supply chains are growing at a healthy pace. Packed house at WilmerHale for the Robot Launch 2015 judging – although 2/3rds of the participants were attending and pitching remotely via video and web conferencing. Cleverpet, for their smart dog feeder that lets you play, teach, and connect with your pet all day. Judges said they picked Cleverpet because they were “a polished company that is poised to serve a big market that people take seriously,” noting that the CleverPet’s adaptability and focus on play distinguishes it from other robotic pet products, and that the team understands the needs of both pets and their owners. Preemadonna, for their Nailbot, which lets you print art on your nails using your phone. Judges cited their huge but hard-to-access market as key factor in their decision. Zyrobotics, for their Zyro Robot Therapy System, a personalized robot coach that gamifies therapy for kids with disabilities. Judges cited Zyrobotics’ social impact as a key factor in their decision. Luvozo, for SAM, a robot concierge that provides affordable support to senior living communities. Judges cite social impact and the fact that Luvozo is addressing a huge market that has many needs. Mecademic, for their compact and accurate tabletop collaborative robot arm. Judges cited near-term applicability of their product as a winning factor. Mobotech, for Mobot, a compact smart forklift. Judges cited viability of their emerging market as a key factor. The Construct, for their web-based robot simulator. Siemens Announcement here. Luvozo, for SAM, a robot concierge that provides affordable support to senior living communities. “The company that does the best job of addressing a real-world need within the mobile robotics space is Luvozo PCB – Robotic Concierge. This is the team to which we would like our consulting services awarded.” – Julian Ware, Clearpath. “Robot Launch 2015 demonstrated an impressive collection of disruptive business and technology ideas, not only in the Silicon Valley but throughout the world.” – Glenn Luinenburg, WilmerHale. ArtiMinds, for their semi-automatic control interface for complex industrial tasks. GaitTronics, for their rehabilitative robot walke, which speeds recovery by making mobility therapy safe and secure for patients and caregivers. Mobotech, for Mobot, their light and compact all-electric smart forklift for maneuvering in tight places and preventing workplace injuries. Zyrobotics, for their Zyro Robot Therapy System, a personalized robot coach that gamifies therapy for kids with disabilities. 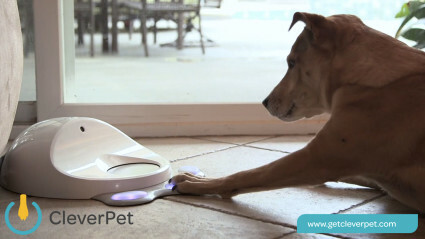 Cleverpet, for their smart dog feeder that lets you play, teach, and connect with your pet all day. The Olander Company are providing custom fasteners and krtkl are providing ‘brains’ for robotics startups in the finals of Robot Launch, showcasing how even early-stage robotics companies can help each other get to market faster. What do our startups, judges and sponsors think about Robot Launch 2015? “Robot Launch 2015 demonstrated an impressive collection of disruptive business and technology ideas, not only in the Silicon Valley but throughout the world.” – Glenn Luinenburg, a Partner at WilmerHale, a Silicon Valley law firm that works with robotics companies, and which awarded a legal startup package and mentoring to Zyrobotics.